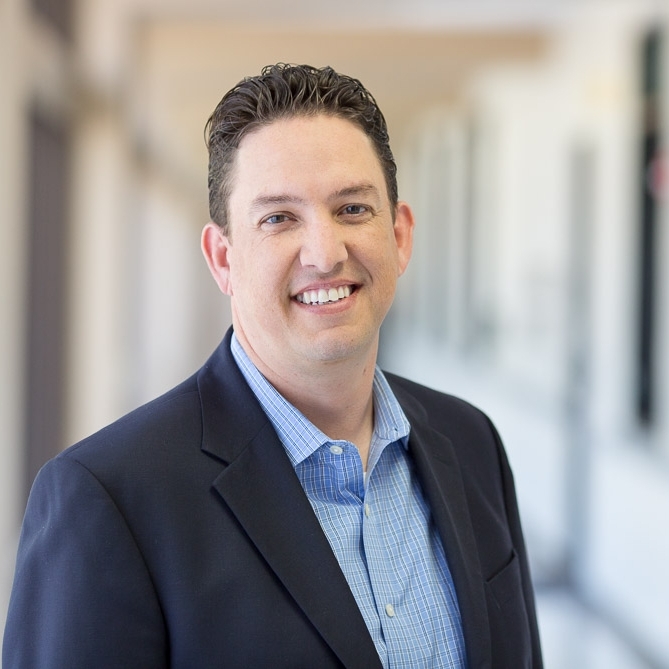 Chris Eso is Vice President of Corporate Development for Medtronic, specifically covering the Cardiac and Vascular Group business units, including Cardiac Rhythm and Heart Failure (CRHF), Coronary and Structure Heart (CSH), and Aortic, Peripheral Vascular and endoVenous (APV). Chris joined Medtronic as the Senior Manager of Business Development in August of 2011. He oversaw Medtronic’s global inorganic growth strategies and opportunities for Coronary business, and was promoted in June of 2012 to expand his Business Development responsibilities to include the Renal Denervation business. In April of 2013, Chris was promoted to Director, overseeing Business Development functions and leading a team of professionals. In September of 2014, Chris was promoted to Senior Director, Business Development for the Coronary and Structural Heart business unit for Medtronic, and in February of 2016, Chris was promoted to Vice President of Corporate Development. Chris has more than 18 years of successful professional experience, of increasing responsibilities, with the majority of his experience in a business/corporate development and strategy capacity within the pharmaceutical and medical device industries, in addition to Medtronic, including Allergan, Watson, Agilent Technologies and Peregrine Pharmaceuticals, where he was Vice President of Business Operations. Chris holds an MBA from Concordia University and BA in Public Relations, Communications from California State University, Fullerton. Robert Gaunt, PhD, joined the Department of Physical Medicine and Rehabilitation as a Research Assistant Professor after completing post-doctoral training in PM&R's Rehab Neural Engineering Lab in 2010. He was promoted to Assistant Professor in 2014 and also continues to maintain a secondary appointment with the Department of Bioengineering. Dr. Gaunt’s primary research interests are in the area of sensorimotor control and the development of neuroprosthetic devices. He works on developing methods to restore and improve bladder function using electrical stimulation of the spinal cord and peripheral nerves and on interfaces with the spinal cord and brain to monitor natural sensory activity and generate artificial sensations. These technologies will enable advanced neuroprosthetic devices with sensory capabilities. Virginia Giddings heads Advanced Technology & Innovation at Stryker Neurovascular, leading technology strategy and innovation to treat stroke. Previously at Abbott, she led Strategic R&D for the Nutrition division, with global responsibility for early-stage research and science partnerships. Also at Abbott, she played a key role in US approval of XIENCE V drug eluting stent and led the technical strategy for ABSORB, a novel bioabsorbable stent, resulting in first of kind CE Mark approval and EU launch. A patent agent, she had IP strategy roles with J&J and Advanced Stent Technologies. She serves on the Cornell Engineering Council, President’s Council of Cornell Women, Georgia Tech-Emory Bioengineering Board and is a Fellow of the American Institute of Medical and Biological Engineering. She is a co-founder of MedtechWomen. She received Bachelor’s and Master’s in Mechanical Engineering from Cornell University and a Ph.D. in Biomechanical Engineering from Stanford. Steven Hetts, MD, is Chief of Interventional Neuroradiology at the UCSF Mission Bay Hospitals, where he provides cutting-edge, minimally invasive endovascular therapy for children and adults with stroke, cerebrovascular disease and tumors, including retinoblastoma. He founded the Interventional Neuroradiology services at San Francisco General Hospital and the San Francisco Veteran’s Administration Hospital, where he served as Chief until 2015. Throughout his career, Dr. Hetts has maintained an active clinical practice at UCSF Parnassus, treating patients with stroke, brain aneurysms, arteriovenous malformations, dural arteriovenous fistulas, spinal vascular malformations, and tumors including meningioma. Dr. Hetts is also the founding Co-Director of the UCSF Hereditary Hemorrhagic Telangiectasia Center of Excellence wherein he and his colleagues provide care for patients with vascular malformations of the brain, severe nosebleeds (epistaxis), and arteriovenous malformations of the lung and other organs. Dr. Hetts received his MD from Harvard Medical School and his undergraduate degree from Harvard College. He completed his medical internship at Stanford and his diagnostic radiology residency, diagnostic neuroradiology fellowship, and interventional neuroradiology fellowship at UCSF, where he joined the faculty in 2008. As Co-Director of the Interventional Radiology Research Laboratory, Dr. Hetts is involved in translating basic science and engineering research into clinical applicability. The main theme of his research is development of novel image-guided endovascular devices and techniques for the treatment of stroke, tumors, vascular malformations, and other conditions accessible through the blood vessels or skin. He has been the principal investigator on an NIH-sponsored project to develop remote-controlled endovascular catheters for use in interventional MRI. This could revolutionize stroke treatment, allowing doctors to visualize living versus dead brain tissue in real-time during their surgeries. He is also the principal investigator on an NIH-sponsored project to develop an endovascular filtration device to reduce systemic toxicity during intraarterial chemotherapy for a variety of tumors. Such a device could not only reduce the side-effects of chemotherapy, but also enable better tumor control and, in some cases, cure. Dr. Hetts’ research projects have received over $4.5 million in federal and foundation funding and he was appointed chair of an NIH study section evaluating innovative neurological technologies in 2016. Dr. Hetts has published over 130 peer-reviewed articles and book chapters. He has lectured on interventional neuroradiology clinical practice and research on six continents. With colleagues in the IR Research Lab, Dr. Hetts helped form a startup company, ChemoFilter, to develop endovascular filtration devices. This company was nominated for Medical Device Startup Company of the Year in the First Annual California Quantitative Biology Awards in 2015 and was acquired that year by Penumbra, Inc, an Alameda-based maker of endovascular devices. In 2015, Dr. Hetts was named a Fellow of the Rosenman institute at QB3 and advises other UCSF faculty and affiliates on developing translational research to bring innovative ideas to patient care. Jennifer Kozak is Vice President, Business Development in Johnson & Johnson’s Medical Devices group. In this role, Jennifer is responsible for Business Development (BD) activities for New Growth Platforms. She also works to develop and lead new external innovation models and works with Johnson & Johnson Development Corporation to optimize our equity investment strategy and portfolio. Jennifer has led numerous BD projects and strategic assessments, including the strategy to enter the ENT (Ears, Nose, Throat) space leading to the acquisition of Acclarent, and the Angiotech knotless tissue closure device asset acquisition. She began her career at Johnson & Johnson as an engineer at Johnson & Johnson Interventional Systems prior to the merger with Cordis Corporation. While at Cordis, she held various roles in Operations, R&D and New Business Development. Following Cordis, she joined Ethicon, Inc. a Johnson & Johnson company in New Business Development responsible for New Growth Opportunities. Jennifer has a BS in Chemical Engineering from Bucknell University, and completed the Smith College Leadership Consortium Executive Education. Richard Rapoza is divisional vice president of R&D, New Technologies and Therapy Innovation at Abbott Vascular in Santa Clara, CA. He has more than 25 years of experience in the cardiovascular field, with expertise in biomaterials research, development engineering, marketing, quality, manufacturing, and innovative product development. Abbott ranked No. 1 in the medical products and equipment category on Fortune’s 2014 World’s Most Admired Companies list. As the head of New Technology and Therapy Innovation for Abbott’s multi-billion dollar vascular business, headquartered in Silicon Valley, Richard has led the development, scale-up, and applicability coronary, carotid and SFA stents, including the world’s first commercially available drug-eluting bioresorbable vascular scaffold (BVS), a temporary stent that dissolves over time after opening up blocked coronary arteries. Abbott’s BVS technology received top honors in The Wall Street Journal’s 2011 Technology Innovation Awards, in the medical devices category, and a 2012 Edison Award, with gold honors, in the science and medical/surgical aids category. In 2013, the technology was honored with an R&D 100 Editor’s Choice Award, and its currently approved in more than 100 countries worldwide, including the United States. Richard pioneered the development of several other medical technologies at Abbott, including the company’s first bare-metal, carotid, and peripheral stents. Previously at Abbott, Richard held executive leadership positions across the vascular business, including vice president and general manager of the BVS group, vice president of R&D for peripheral devices, and vice president of operations. Prior to joining Abbott, he served in senior roles at Guidant and Advanced Cardiovascular Systems. Richard earned a bachelor’s degree in chemical engineering from University of California, Berkeley, an MBA from the Haas School of Business at University of California, Berkeley, and a Ph.D. in chemical engineering from University of Washington. Justin started his business career at Procter & Gamble in the UK where he spent 7 years marketing some well-known European fabric and homecare brands. He joined Medtronic in 2004 at the European Headquarters in Switzerland before moving to northern California to lead the Global Coronary Stent Marketing group in 2007. He later set up and led the post-acquisition Marketing team for Renal Denervation and then moved to Singapore in 2013 as the Business Director for Structural Heart therapies in Asia Pacific. He returned to the US at the end of 2015 as the Vice President of Global Marketing for one of Medtronic’s fastest growing businesses. Justin holds a Master’s degree from the University of Hong Kong. Lisa Suennen is the Senior Managing Director at GE Ventures focused on early-late stage healthcare investments across health IT, health services and medical devices. She is also Managing Partner at Venture Valkyrie Consulting, a publishing and business advisory firm. Lisa is also founder of CSweetener, a not-for-profit company focused on matching women in and nearing the healthcare C-Suite with mentors who have been there and wish to give back. Lisa is a member of the faculty at the UC Berkeley Haas School of Business, where she teaches classes on venture capital and the changing healthcare economy. Previously Lisa operated Venture Valkyrie Consulting for 3 years, advising large corporations around corporate venture capital and digital health strategy. Prior to that she spent 15 years as a Partner at Psilos Group, a successful healthcare-focused venture capital firm. Prior to Psilos, Lisa helped build Merit Behavioral Care (formerly American Biodyne, Inc), an $800mm behavioral healthcare company where she held various leadership roles from its early start-up days through its successful IPO and exit. Previously, Lisa held various positions in marketing and product management in companies in the high technology field. Lisa is currently a Board Member of the Dignity Health Foundation, Heart To Heart International, and global digital health organization HealthXL. She is also on the Advisory Boards of the California Health Care Foundation Innovation Fund, the American Heart Association Innovation Think Tank, Qualcomm Life, and NASA’s Translational Research Institute, which is focused on innovative approaches to reduce risks to humans on long-duration exploration missions, including NASA’s Journey to Mars. Lisa is a Fellow of the inaugural class of the Aspen Institute’s Health Innovators Fellowship and a member of the Aspen Global Leadership Network. Lisa writes a widely read blog on healthcare and healthcare investing at http://venturevalkyrie.com . She published her first book in 2013: Tech Tonics, Can Passionate Entrepreneurs Heal Healthcare with Technology, coauthored with Dr. David Shaywitz. Together they also host a popular podcast, also called Tech Tonics, focused on the people and passion at the intersection of technology and health. Lisa an M.A. in political science, a B.A. in political science and a B.A. in mass communications, all from the University of California, Berkeley. Christine Winoto, Director of the Rosenman Institute, Deputy Director of QB3, Co-Founder and Venture Partner at MedTech Venture Partners I LLP, manages the QB3 Life Science Pitch Summit program, the QB3-JPMorgan Chase program for women and diversity in life sciences, and QB3 operations. Before joining QB3, she developed business plan and marketing strategy and capital planning for Kaiser Permanente and managed business development at Genencor. In addition to consulting for startups and venture capital, she has held R&D and operations positions in medical device companies including Physiometrix (IPO, then acquired by Hospira), Cardiovasc and Heartport. Christine also worked in mergers and acquisitions for a European investment bank. Christine holds an MBA from Erasmus University in the Netherlands and a BS in food chemistry from the University of Wisconsin, Madison.